Home / Aging and Costs of Aging / Diabetes Doubles! Food Can Help. Should It Be Reimbursed? Americans treated for diabetes doubled to about 19 million (8.5% of the population) in 2007 compared with 9.1 million (4.6% of the population) in 1996, according to the AHRQ, a federal agency. That doesn’t count the undiagnosed (7 million) and those with prediabetes (79 million). Health care spending on diabetes more than doubled to $40.8 billion (the ADA says this figure is low: total diabetes costs are $174 billion, they say, in 2007). But something odd happened: what it was spent on changed. The amount spent on on prescription medication in 2007 doubled vs 1996: 46.7% compared with 23%. The amount spent on home health actually fell by nearly two-thirds: 9.5% vs 27.1%. 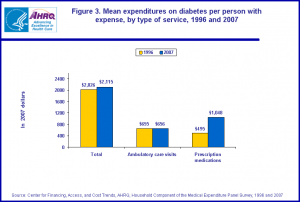 Individuals with diabetes paid double too: $1048 in 2007 versus $495 in 1996. What do all these numbers mean? They mean diabetes is doubling, fast. They mean that payers are paying for medication–not home care, by a mile. Actually, by billions of dollars. But I wonder if these same payers know the data about lifestyle program cost and prevention of diabetes. This slide summarizes the results of the Diabetes Prevention Program. 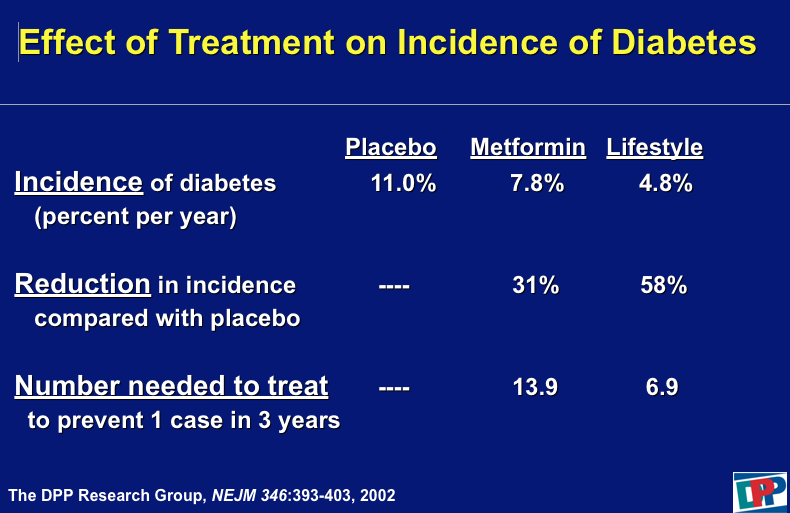 It tested metformin (a good, inexpensive medication) versus diet and lifestyle in reducing diabetes, for a year. Metformin reduced diabetes by 31%. Lifestyle did better. It reduced diabetes by 58%. Without any complications. 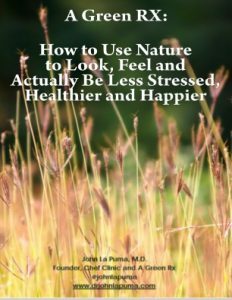 They lost just 7 percent of body weight and exercised only 2.5 hours weekly, on average. It was an expensive program–about as expensive as medication, not including diabetes costs prevented–but the researchers brought the costs down: United Health is testing a version with the YMCA and pharmacists. More innovation! That’s the spirit! Should the right food be reimbursed?